Y’all HAVE to check this out! Pandora has launched their “Sounds Like You” campaign by opening the Pandora Premium platform to all listeners - including YOU! This means that anyone can create personalized stations, build customizable playlists, rate music, replay an unlimited number of times, and listen to higher quality audio with no ads, no timeouts, and more offline listening options. This feature gives you the reigns to completely tailor an experience that truly “Sounds Like You”... how cool is that?? 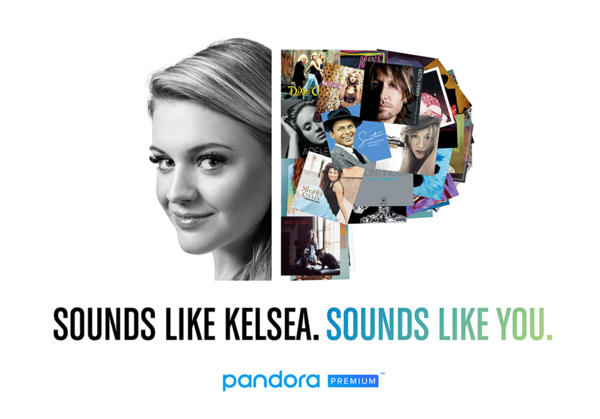 Join the movement and listen to the songs that influenced me on “Sounds Like Kelsea”, only on Pandora: pdora.co/soundslikekelsea. I love you!! You are my role model!! I want to be you!! Im going to go to one of your concert and get front row tickets, but my mom had breast cancer and their are a lot of bills to pay!! This is SO awesome. I love how all of the artists in the "P" are all artists that she loves.